Looking for a Used LS 600h L in your area? CarGurus has 23 nationwide LS 600h L listings starting at $9,500. Lexus proves you can have all the power you want from a V8—with the fuel economy you need with gas prices on the rise. 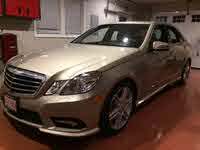 The 2012 LS 600h L sedan is a continuation of the company's flagship gasoline-electric hybrid for the luxury vehicle market. Introduced in 2008, the LS 600h L was the world's first combination of a V8 gasoline engine and an all-wheel-drive (AWD) hybrid drivetrain. For 2012, Lexus felt the only change needed was a color option, trading the Smoky Granite Mica finish with the Nebula Gray Pearl finish instead. The Lexus LS 600h L retains all the luxury you expect from a Lexus with the fuel economy you expect from a hybrid. Under the hood of the LS 600h L you will find a 5.0-liter, 8-cylinder, 438-hp engine combined with two electric motors for power in hybrid mode. Secondary power is just as impressive with electric motors that produce 389 hp with 385 lb-ft of torque. To power the electronics of this performance hybrid there are two batteries, one behind the rear seat that powers the electric motors and another in the trunk to power audio, navigation and other electronic systems. With a 0-60 time of only 5.5 seconds, you might forget you are driving a hybrid. 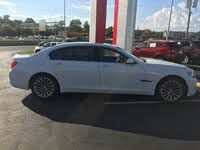 The mileage is also refreshing for a luxury car with an EPA-estimated 19 mpg city/23 highway, To keep all this power easy to handle, the LS 600h L is equipped with a state-of-the-art full-time AWD system as well as a limited-slip differential. Stopping the LS 600h L is also done with innovation by a regenerative-braking system, which captures energy normally lost as heat when braking. The system transforms the heat into electricity, which in turn recharges the batteries. The LS 600h L features a multi-link front and rear air suspension system, which provides an ultra-smooth ride on any road surface. Electronic power steering and a Vehicle Dynamics Integrated Management (VDIM) system give the driver ultimate control no matter what the weather or road conditions are. Lexus designed the LS 600h L to have the most luxurious and comfortable trim in its LS line. Luxury prevails inside with numerous creature comforts such as climate-controlled front seats, a slide-away driver’s seat to make getting in and out of the vehicle a breeze, a heated steering wheel and heated rear seats. Lexus does not hold back with the sound system either, with a standard 450-watt Surround Sound audio system with an auxiliary jack for an MP3 player and a USB port for other music players. It also boasts a Bluetooth streaming audio system. The safety of the LS 600h L is second to none, as it features many of Lexus’s innovative safety systems. This includes the Advanced Pre-Collision System (APCS) developed by Lexus, the world’s first system designed to recognize pedestrians in the path of a vehicle. Included with this system is the Driver Attention Monitoring System, another world’s first, which monitors the orientation of a driver’s face with a small camera mounted on the steering column. If the driver appears to be looking away from the road for more than a few seconds, or if there is an object detected ahead of the vehicle by another camera, it alerts the driver immediately. If the vehicle gets too close to the object without driver intervention, the APCS system will start applying the brakes, slowing the vehicle down and avoiding the object. A third camera is located on the side of the vehicle and will alert the driver of another vehicle or object next to the vehicle that could make lane-changing unsafe. The Lexus LS 600h L has been given an overall Good rating by the IIHS (Insurance Institute of Highway Safety) in crash testing. Those who have purchased the Lexus LS 600h L could not be happier with it. 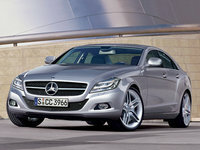 They find the options available useful and abundant and the vehicle a pleasure to own. They also are impressed with the speed, comfort and control of the LS 600h L. Most owners say the vehicle far exceeds what they expected and could not be happier with the performance, styling, safety and features. Overall they feel like they are driving a high-performance exotic car hidden under the skin of a Lexus sedan. What's your take on the 2012 Lexus LS 600h L? 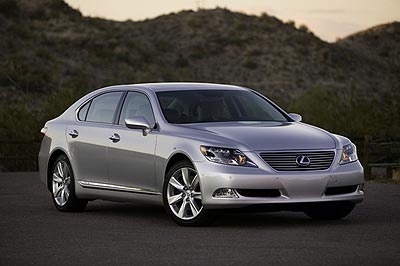 Have you driven a 2012 Lexus LS 600h L?